I just stare at him in awe all the time! I’m absolutely loving every second with him! It’s the best feeling ever! Around midnight I was in bed after listening to the gentlebirth labour rehearsal (had felt mild cramping on and off throughout the day but nothing that got me overly excited) when bam the first surge hit I knew immediately it was the real deal and they continued regularly every 5 minutes so I got a shower and got on the gym ball presuming I’d be like that for hours but they quickly were down to every three minutes and were very intense. We headed off to the hospital and I concentrated on breathing deeply through the surges reminding myself it was another hill closer to my baby. Got assessed in the labour ward and I was nearly 4cm at that point my contractions were to the front, all down my back and travelling down my sciatic nerves so when a surge hit I was tensing up completely took the gas and air which was amazing and it took the bare edge off them but I felt at that point I needed an epidural and I’m glad I did as it was the type of pain relief I needed for that type of labour. I got the epidural at 4am and they presumed I’d be hours dilating but alas they broke my waters and told me to rest and save my energy for pushing later- this is where yoga came in. I lay there imagining I was in class at the relaxing bit at the end- “I loved that bit 😄😄” and I visualised my whole body opening up and my baby moving down, I relaxed myself completely and told my husband to go out to the car and sleep. They decided to check the dilation again and I had gone to fully dilated within that hour so had to ring the hubby to come back! A little while later they were like your ready to push so I did and needed just one go of the suction with the doctor and out popped Tadhg 50minutes later!! He was popped straight onto my chest and it was without doubt the happiest moment of my whole life! We stayed there together for a couple of hours in our happy bubble it was amazing! I had a wonderful experience in Kilkenny and the staff were so nice and made the whole process relaxing for us all. I’m so grateful for my experience there and I’m so glad I did the yoga it really helped me in the end 😄 I loved the classes! I’ll be there again for the next one please God. I felt very bonded to the baby through the classes so thank you so much and learning to relax my body in yoga really helped with my body becoming fully dilated in those circumstances because they weren’t expecting me to be ready to push until the afternoon! Let alone a couple of hours later! I remembered you saying that panicking can slow it all down so the visualisation and deep breathing and willing my baby to come out and meet me let the oxytocin do it’s work. Thanks again Lainey for helping me have that time each week to really connect with my baby Im so grateful. We’ll see you at some stage for baby massage. 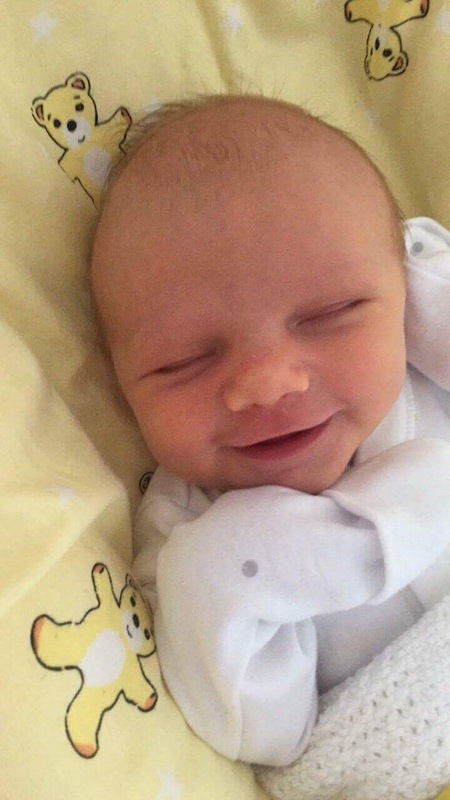 Posted in birth story, pregnancy and tagged baby, baby classes, birth, carlow yoga, gentlebirth, pregnancy yoga, pregnancy yoga carlow, yoga carlow.